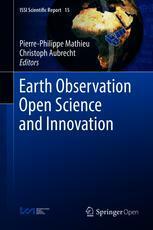 EarthServer-2 is represented on the book "Earth Observation Open Science and Innovation" - The chapter is available - as the rest of the book - as Open Access thank sto the International Space Science institute. November 2017 - EarthServer, the European Union Big Data initiative, has reached the next milestone: Today in the second phase extending through April 2018, the Italian data provider MEEO S.R.L. exceeds 1 Petabyte of spatio-temporal, analysis ready data processed through its operational Earth Observation Data Service. November 2017 - Datacubes are receiving attention worldwide as a novel concept making raster data more accessible and easier to analyse. Based on the coverage standards suite of OGC, ISO and INSPIRE with its mature data and service model for spatio-temporal datacubes, OGC now is pulling together all parties interested in this exciting field of technology. EarthServer´s 2-day workshop “Datacubes for Big Earth Data”, hosted by ESRIN from October 19 – 20 in Frascati / Italy attracted a lot of data users working with large volumes of Earth Science data. Scientists and professionals in research and industry were introduced to the Datacube concept for processing and analysing massive sets of environmental and geospatial data. Ft Worth, USA, August 2017 - IEEE being a leading organization for IT professionals is continously seeking expertise which ideally combines research and industry. This August, rasdaman CEO Peter Baumann has been elected chair of the Earth Science Informatics Technical Commitee in the IEEE Geoscience and Remote Sensing Society. August 2017 - Increasingly, the advantage of combined spatial and temporal analysis is being recognized, and very much so currently in agroinformatics. Rasdaman is enabling novel agroinformatics services on many levels, and international conferences seek talks on rasdaman and its open-standard approach. Okayama, summer 2017 - ISO Array SQL, the SQL "datacue" extension, has been finalized and "frozen" in its design at the recent ISO meeting in Okayama, Japan. Following the planned timeline, at the next voting stage only minor textual changes will be considered any more, allowing to complete the new standard still within this year. September 2017 - Europe, in its quest for a harmonized Spatial Data Infrastructure, will hold its annual INSPIRE conference in Kehl (Germany) from 04 to 05 September and in Strasbourg (France) from 06 to 08 September. Rasdaman CEO, Peter Baumann, will present tutorials on INSPIRE coverage handling and WCS during this week, as well as the official OGC and INSPIRE WCS Reference Implementation, rasdaman. Further, live demos will be given at the rasdaman booth in the exhibition area showing cloud processing and intercontinental federation of datacubes.